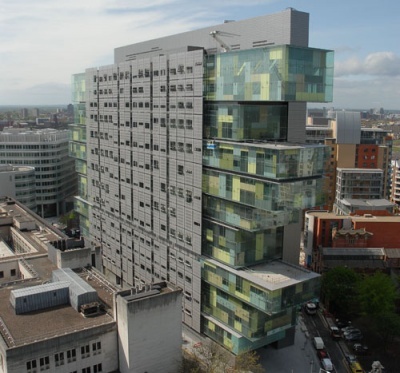 Manchester Civil Justice Centre is a governmental building in Manchester, England. Completed in 2007, it houses Manchester's County Court and the Manchester District Registry of the High Court, the city's Family Proceedings Court, the district probate registry, and the regional and area Offices of the Court Service. The Civil Justice Centre was first major court complex built in Britain since George Edmund Street's Royal Courts of Justice in London completed in 1882. 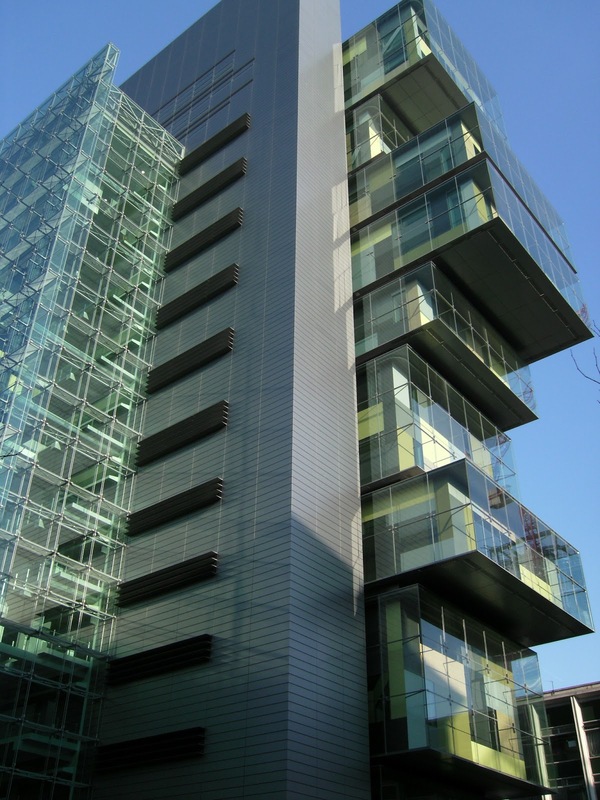 Its distinctive architecture has been nicknamed the "filing cabinet" because of its cantilever floors at the end of the building. The building design takes inspiration from Expressionist architecture but also the artistic Futurist movement of the 1920s which promotes dynamic lines and a sense of fluid movement. 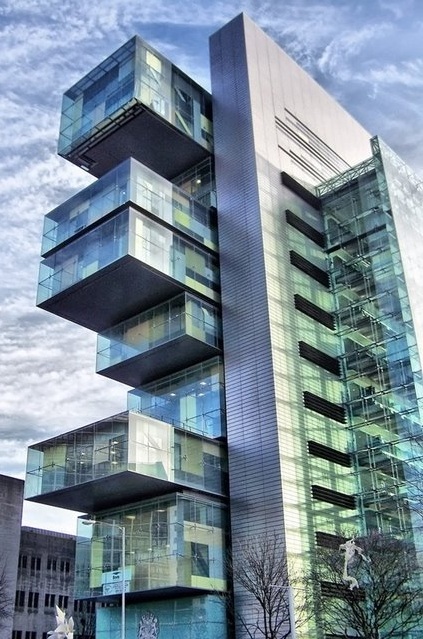 Commissioned by the Department for Constitutional Affairs, the building was funded as a Public–private partnership and is the centrepiece of the Spinningfields development. 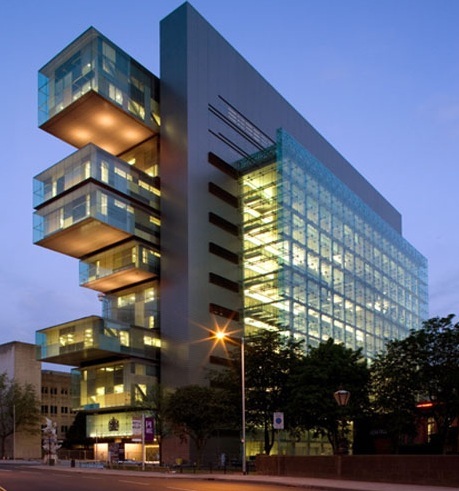 The building opened to widespread acclaim for its expressionist dynamism, environmental credentials and high-quality design. 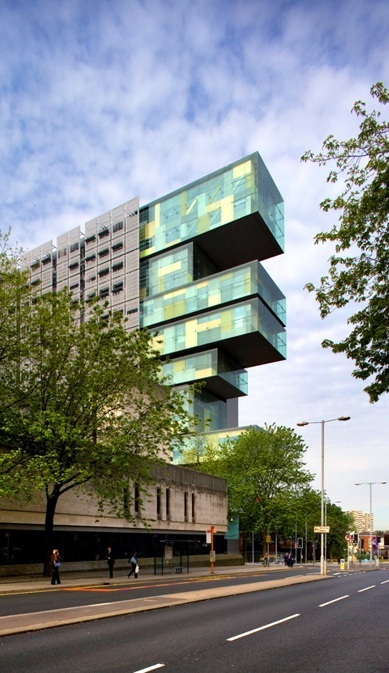 It was nominated for RIBA's Stirling Prize in 2007 and named one of the "Best British buildings of the 21st century" by Blueprint magazine in 2011.